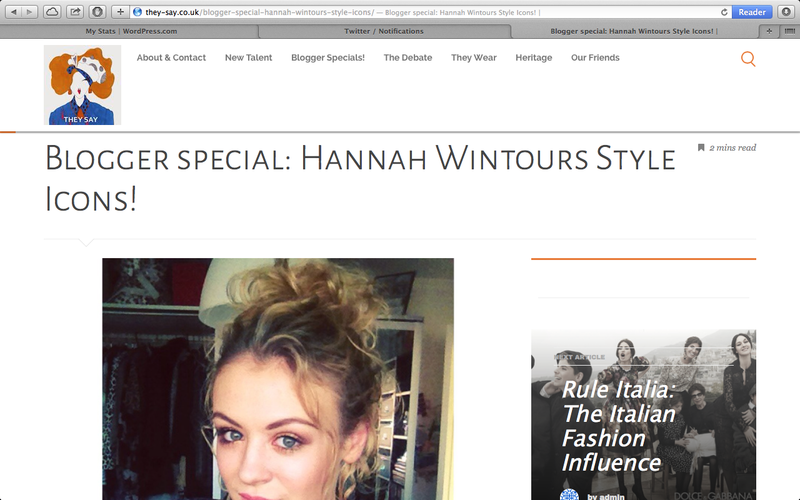 I was recently asked to write a guest feature on They Say, an online fashion magazine. I wrote about my top five style icons, check it out here! This entry was tagged blog, Blogger, blogging, contributor, fashion, fblogger, magazine, style icons, they say, twitter. Bookmark the permalink.